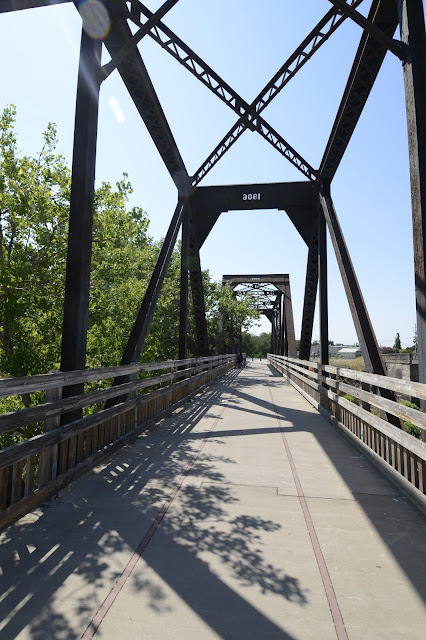 The J Robert Chapman Memorial Bridge sits next to the previously studied Putah Creek Bridge in Winters. It started out as a railroad bridge, which was abandoned in the 1960s, and was turned into a pedestrian bridge in 2006. We'll take a closer look at this interesting bridge tomorrow.